How can masks inspire us? 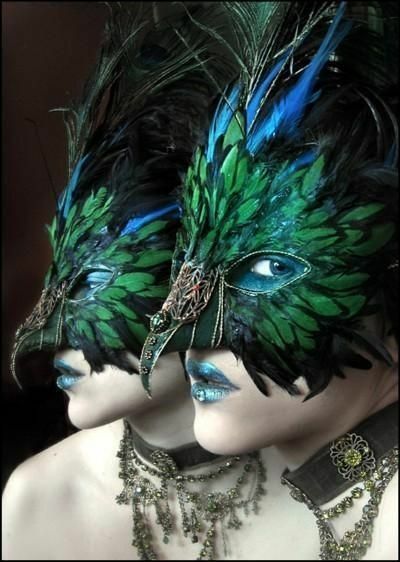 Across most cultures, masks depict mystery. They are a cryptic expression, an artistic intention, glorified for all to see. Essentially, regardless of their cultural context or purpose, a mask is a means of concealing one’s identity and assuming a different one. The act of masking ourselves translates fluently into the art of imagination, or of transcendence. Creating a mask is one way to celebrate the co-creation of life. Our definition of self, and therefore our outlook, evolves with each new experience. Just as the mask is born at the hands of its creator, creativity can be developed and nurtured in our lives. Anything we do to perpetuate the art of imagination helps us embrace and celebrate this evolving creation of self into our lives and the world around us. Here are a few simple ways to nurture this new perspective in your life! OK, so we can’t exactly wear a Venetian Mask to the grocery store, or to work—at least not without unintended consequences. However, we can live expressively through an artistic prop! Wear a statement piece, such as a vibrant scarf or an otherwise unique piece of wearable art. By stretching just beyond your everyday comfort zone, you can embrace something dormant and feel just a little more alive! The above mask was made out of plastic bottles. Part of living a more artful life is seeing the artistic possibilities of everyday objects. It’s the small bits and pieces of thought and color and that weave into the fabric of an artful existence. In order to transcend our ordinary lives into something extraordinary, we must approach it with new eyes. Only then can we channel our intentions into something more profound. As you journey through each day, watch for small findings that give you joy, a living collection of items with which you can design quiet moments of intention. Imagine you are decorating a mask with artifacts that represent the past, present, or future YOU. If you are watching for these small moments throughout your everyday life, you will start to experience things differently—more artfully! Whether it be a walk in the woods or just people-watching at the mall, find time to revel in the freedom of not being known, seen, or accountable to anyone. Some of our most creative thoughts or deepest desires can only be accessed under the cloak of anonymity when we don’t have to regard how others feel or consider their needs. There is an artistry to not overstating things, to leaving some things to the imagination. For many artistic people, solitude is essential for letting seeds of thought and intention grow into creative expression. By resisting the temptation to over-engage, we give our thoughts time to germinate. These conscious retreats can fuel our everyday lives with a richer existence, which is the driving purpose behind living a more artful life! A brief review of the history of masks reveals that, in Europe alone, they have served as a means of either expressing something unpalatable, or transcending one’s experience to something extraordinary.